Matin has developed a keen interest and experience in information management and privacy related matters. Before joining the firm, Matin articled for the Information and Privacy Commissioner of Ontario where he assisted on litigation before the Divisional Court in the Superior Court of Justice, the Ontario Court of Appeal, and the Supreme Court of Canada. 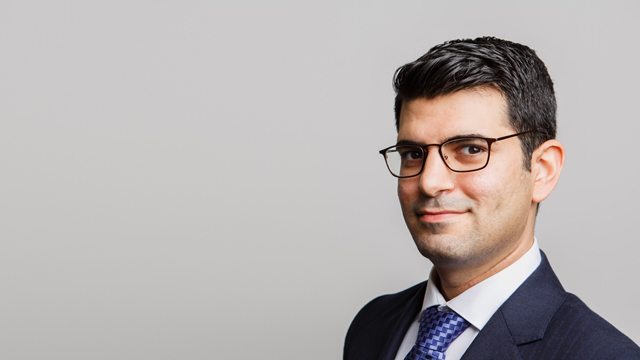 Matin also competed for the University of Ottawa’s intellectual property law moot teams and interned with the Civil Litigation Division of the Department of Justice where he assisted with the Government’s privacy-related class actions and extra-territorial projects. Outside the office, Matin is an avid sports fan and distance runner who can be heard speaking in any one of four languages. University of Ottawa, Joint Honours B.A.